The Perfect Proposal: How to Propose the Love of Your Life? Marriage is said to be the new beginning of your life. Why not kick-start that journey by doing something out of the way for the person you love by getting some wonderful ideas for how to propose the love of your life? A perfectly planned proposal holds a great value for a relationship. Know; it becomes a beautiful memory which will remain attached to your mind even when you grow old. Of course, it’s not really necessary for you to make extra efforts to pop out the question, but doing something really special for your special someone sure is gonna be worth it. Besides, you’ll feel wonderful when you see that pretty smile on their face (which we know, means the world to you). 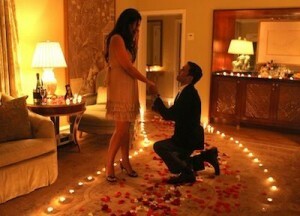 Have you planned for how to propose your lover? From skywriting to chilling by the beach proposal, there are a lot of things to take inspiration from and as usual, we’ve got your back! Why not go for a simple, yet insanely romantic dinner at home? You could cook her favourite dish (or if you’re as terrible a chef as me), set up the mood with candles, roses, a nice bottle of wine, and some romantic music and straight up propose. This is something that can never go wrong. Another easy yet beautiful proposal: Make a candle-lit path and turn off the lights which would lead to a ring of candles and rose petals circling the engagement ring. Extra points for including a cake, champagne, and a cute framed picture of you both. When it rings in your mind, how to propose her, what better than her own room. You can decorate her room with flowers, balloons, lights and pictures of you both on the wall. Of course, you would have to include one of her family members in the plan so you can do all of this while she’s gone out and get some help from that person. 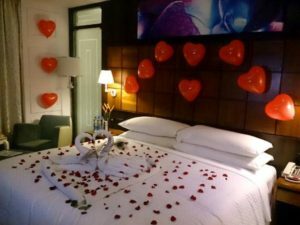 This way, when she comes back home after a tiring day at work, she'll have the most wonderful surprise as she wouldn’t have expected this at all. Make the proposal exciting by sending your soon-to-be-fiancé on a treasure hunt that ends with your proposal. Hide the ring somewhere in the house and then set up the hunt with clues along the way for her to find. 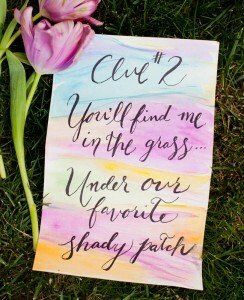 Each clue can have a small gift attached to it. You can get as creative as you like with the clues. 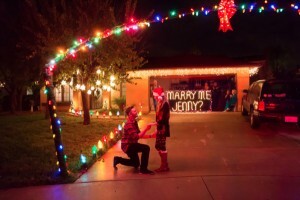 Use outdoor string lights to write out, "Will you marry me?" on the front of your house. Station your friends and family secretly inside and come up with an excuse to linger out front. Then have someone flip the switch to reveal the message. A lot of people have a thing for sunsets, and if she’s one of them, then go for this one among our ideas for how to propose the love of your life. Now this works best on a beach setting because sunsets look more beautiful than ever there. Take her out for a romantic dinner by the beach and propose. 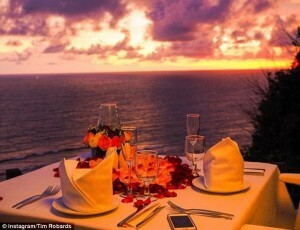 (Take inspiration from the image below for the place setting) Trust me, with the whole romantic atmosphere; the beautiful sea and sunset at the side, the love of her life in front of her and amazing food and wine along with it to make things more dreamy, she would feel like the luckiest girl in the whole world. If you and your girl are into adventures, then why not go for a trek somewhere beautiful and propose to her when you reach the high point. 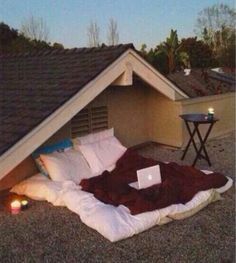 It’ll be totally unexpected, and with that view, you won’t even need to have decorations of any sort to make the atmosphere incredible. 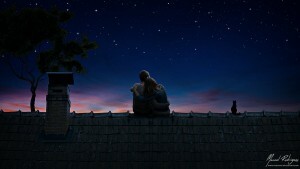 There’s something extremely and insanely romantic about lying down and watching the stars with the person you love. 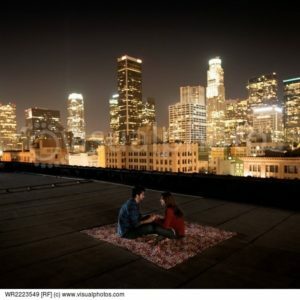 So for a really romantic proposal, take her out on a clear night on a rooftop and propose under the stars. You can do all kinds of decoration up there as you like. So just lie down, watch the stars together, get all cozy, and pop out the big question. Another simple yet breathtaking way, no? If there's a lunar eclipse or meteor shower predicted, it makes it all the more special. 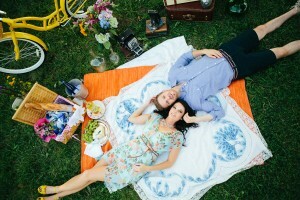 Get a friend to make up a picnic for you in a park or woodlands, including wine, and some of her favorite food. Go for a walk with your soon-to-be fiancée where the two of you happen upon this unexpected picnic and you are ready to propose. Last but not the least among our ideas for how to propose the love of your life.Build a sandcastle together and when she’s not looking, place the ring on top of the castle. 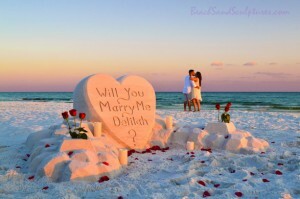 Or, if you're willing to put in a lot more effort, carve out “Will you marry me, *her name*?” on the sand castle, with help, of course, and make it look even more romantic. I hope by now, you have decided on how to propose the love of your life. All the marriage proposal aside, the most important thing to keep in mind is to tell her with all of your heart how much you’re in love with her and how excited you are to spend the rest of your life with her, through all the thick and thin. Happy proposing!